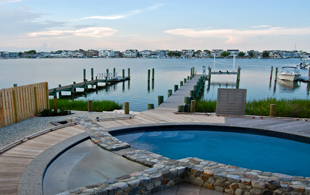 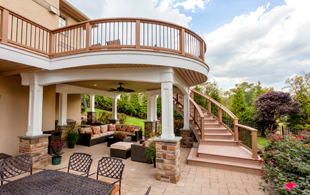 Our extensive portfolio of custom decks with built-in benches, deck and patio combos, bi-level decks, raised decks, privacy walls, and even decks with hot tubs and cooking areas, are each designed to integrate seamlessly into the natural surroundings of any home. 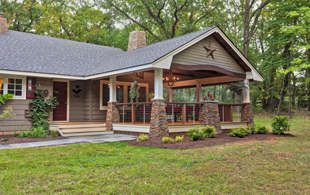 An open porch on a split-level home with living quarters in the front, is an architectural transformation. 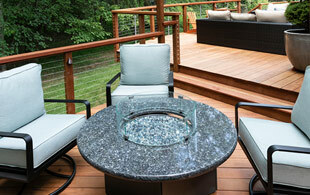 This simple deck design utilizes the basic geometry of circles and squares, to dramatic effect. 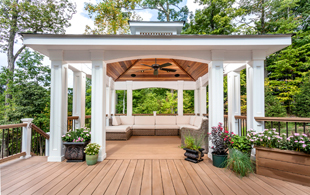 The large gazebo on this deck provides an ideal spot to relax and mingle, with protection from the elements. 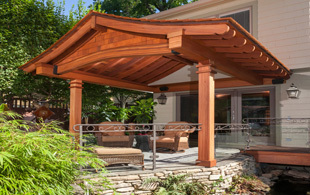 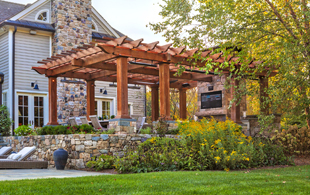 Designed with an Asian flair, this open porch provides a shaded and dry area to relax and enjoy the outdoors. 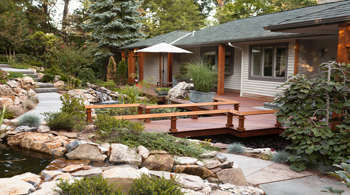 This Asian-Inspired, LED-illuminated footbridge, constructed over a koi pond, is a clever solution for a pathway to the home's front entrance. 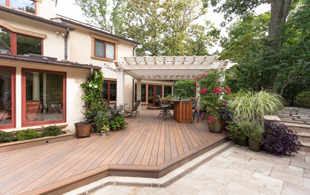 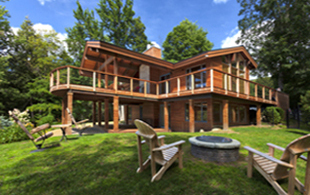 Ipe was the wood of choice for this project, both for its ability to temper the heat of a full sun, and its unsurpassed durability in environments such as this. 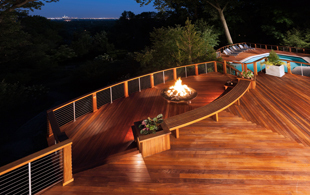 This large raised mega deck offers a pizza oven, outdoor kitchen, hand-painted mural and other amenities to enhance this luxury deck. 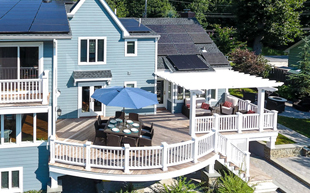 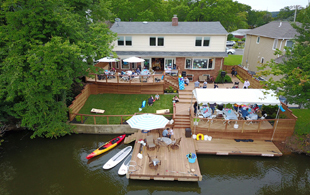 Award-Winning Deck with Ipe decking , PVC rails and recessed panel posts to give this Staten Island home its beach-house look.